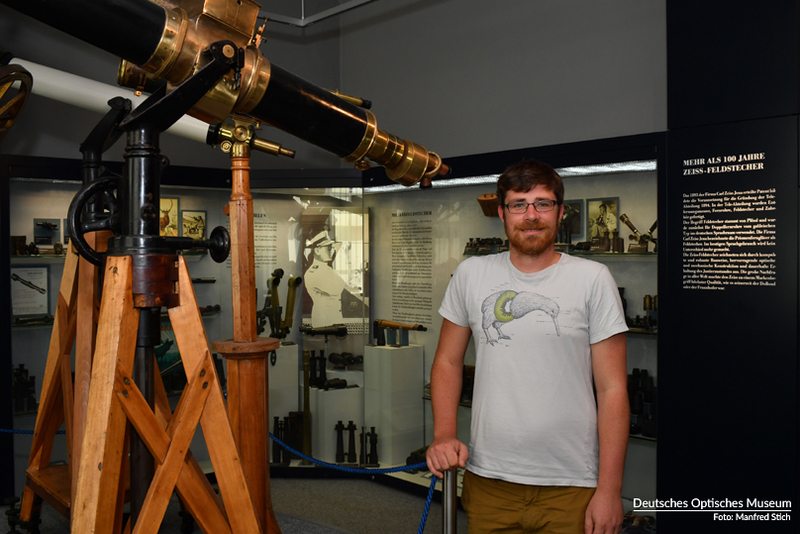 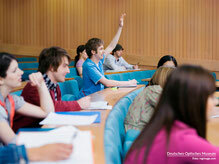 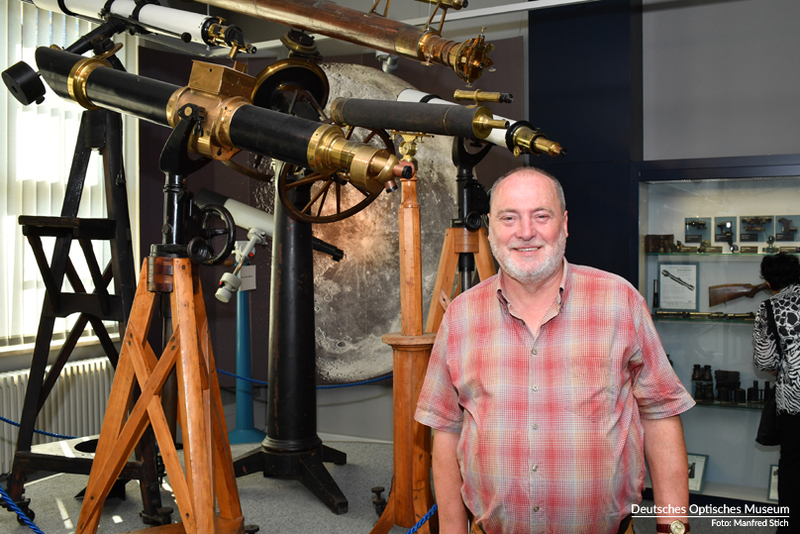 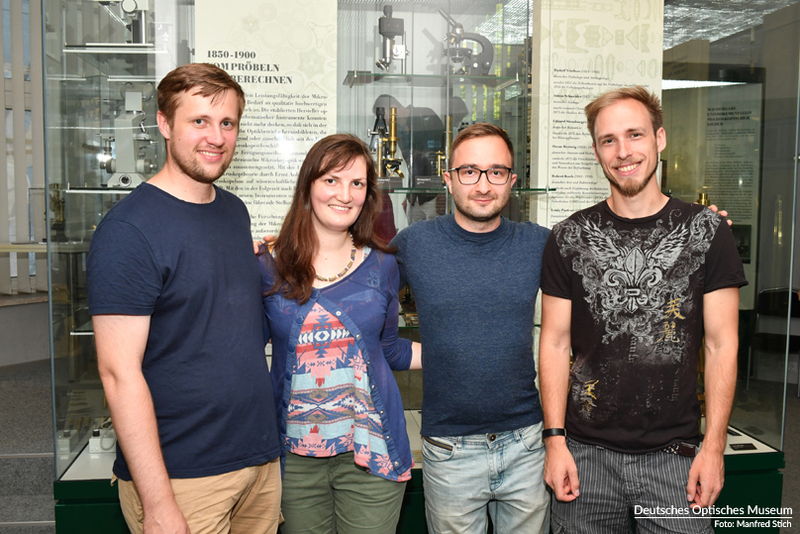 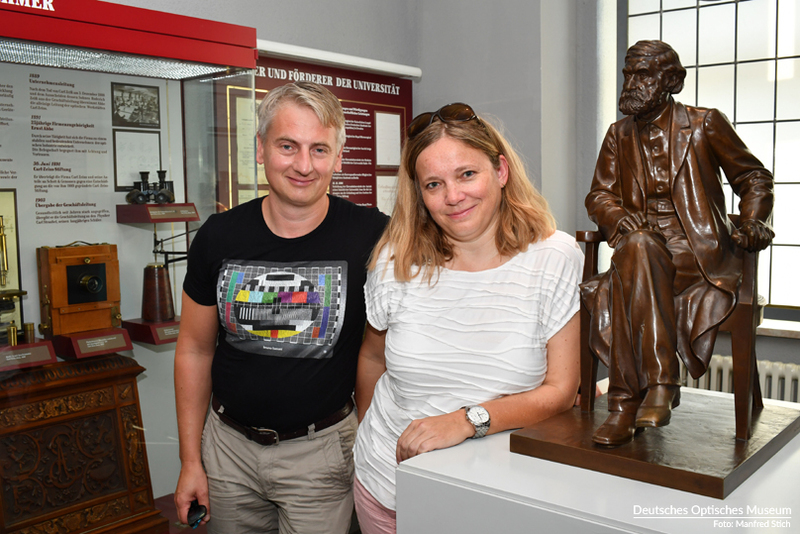 Five applicants for the position of Professor for the History of Physics were invited to present lectures held in the lecture hall of the Optical Museum. 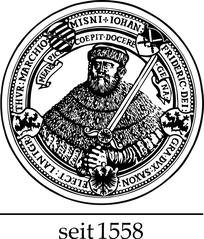 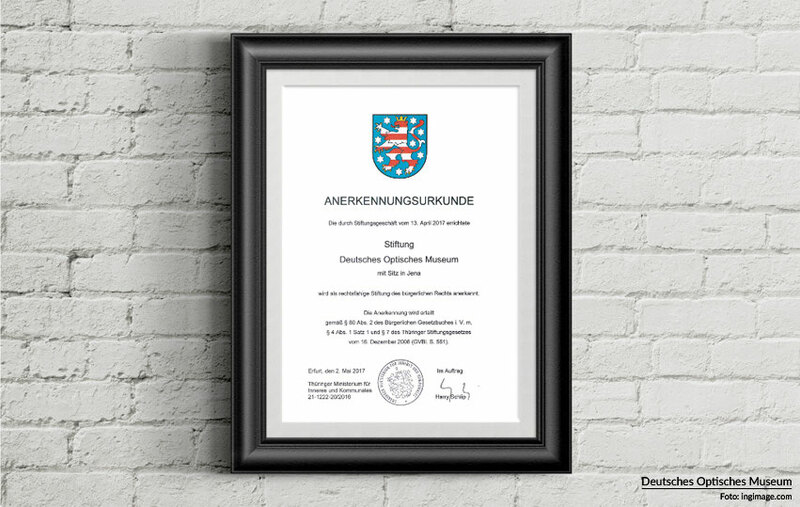 The German Optical Museum Foundation headquartered in Jena and established by the foundation business on 13 April 2017 has been recognized as an incorporated foundation under civil law. 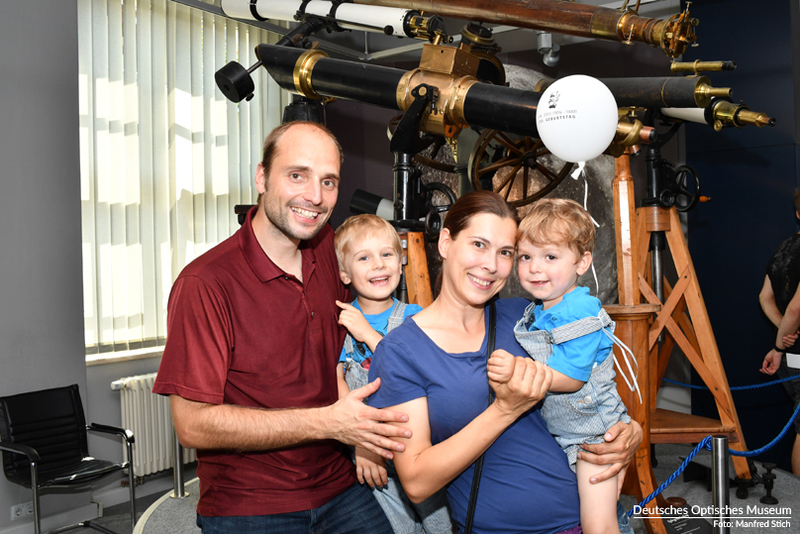 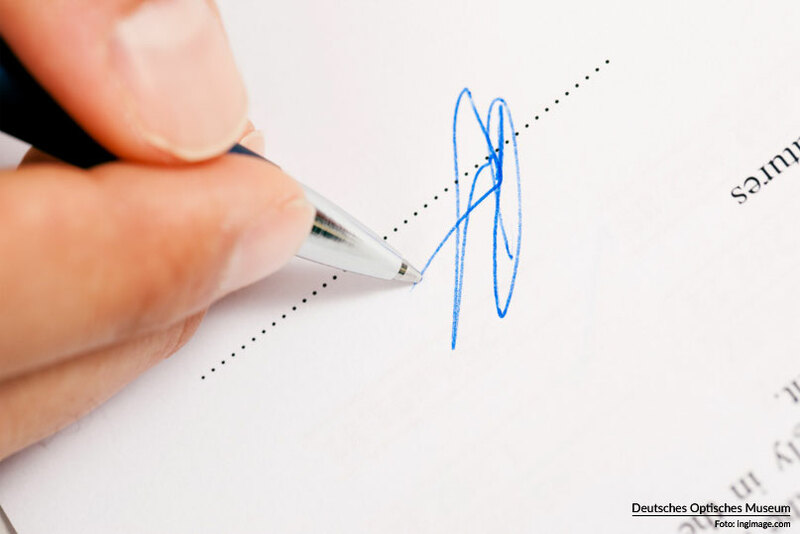 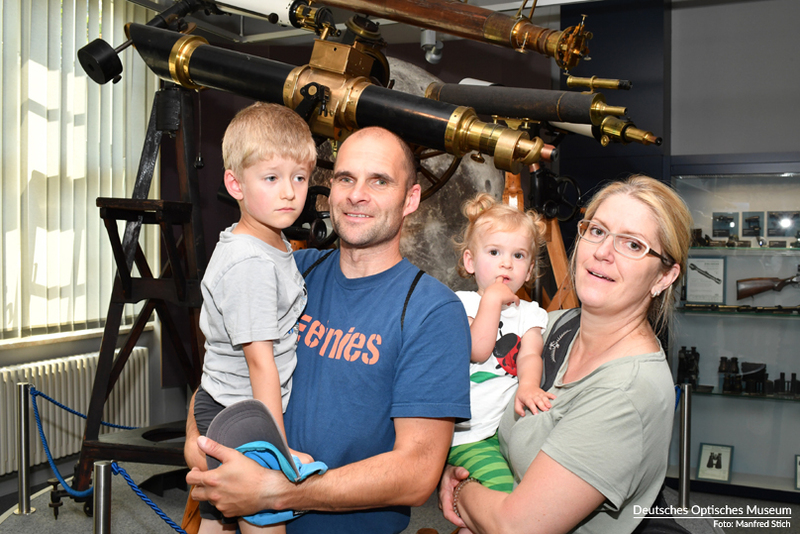 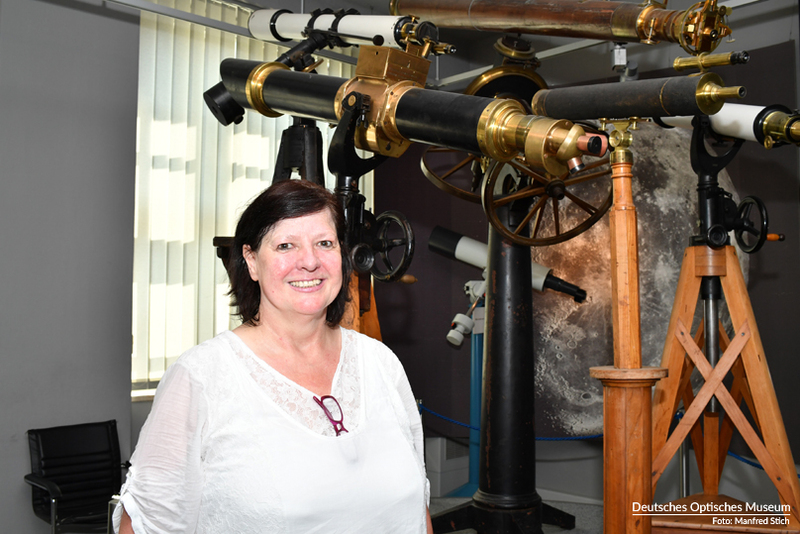 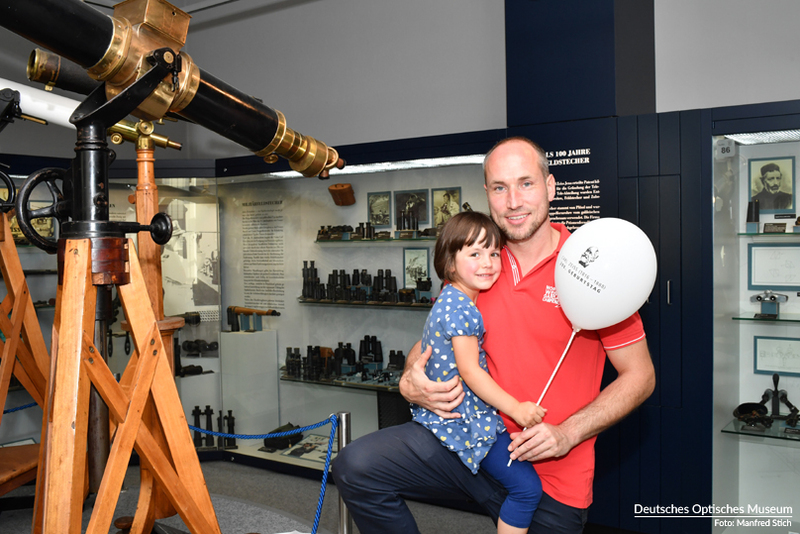 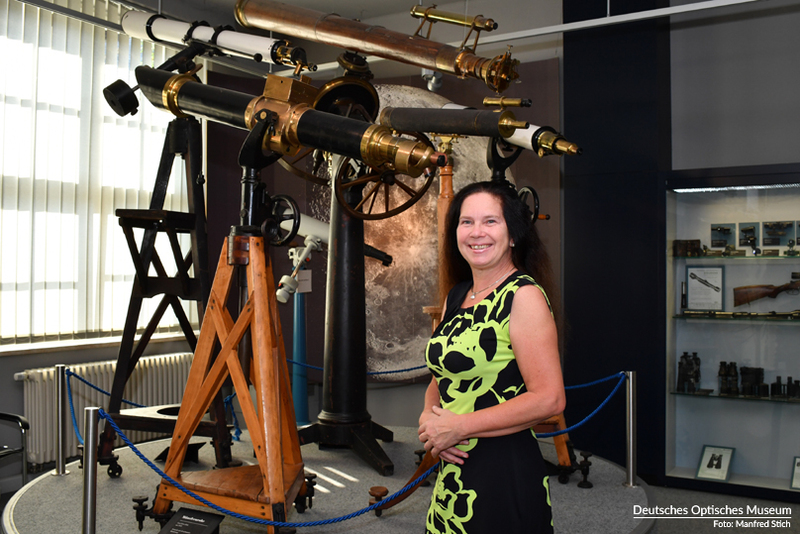 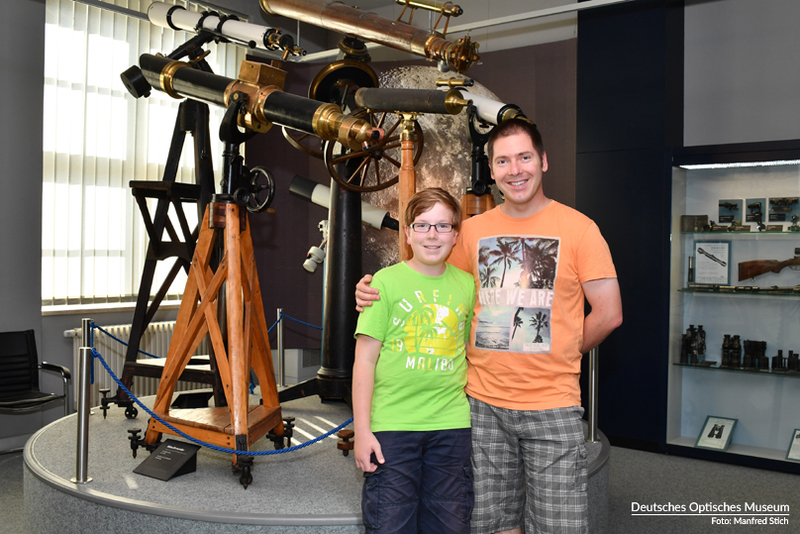 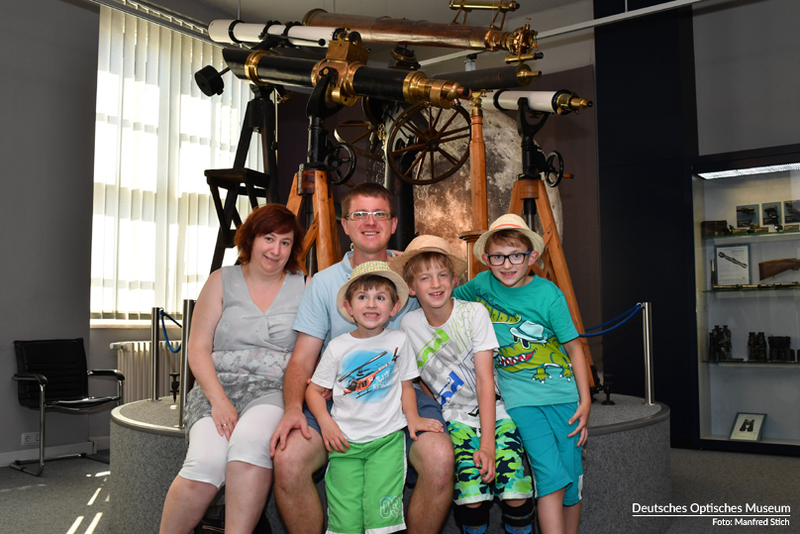 The Faculty of Physics and Astronomy at Friedrich Schiller University in Jena and the German Optical Museum Foundation have issued a joint hiring announcement for the position of Professor for the History of Physics with a focus on science communication. 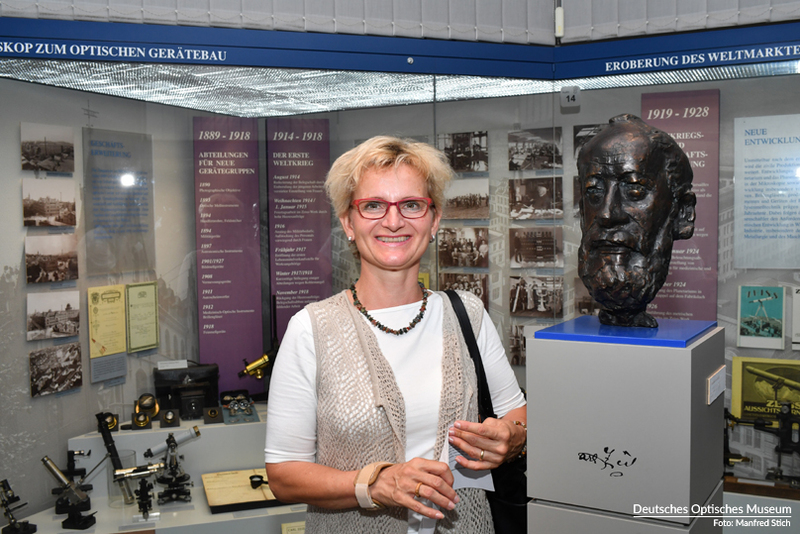 The candidate selected will also head the German Optical Museum. 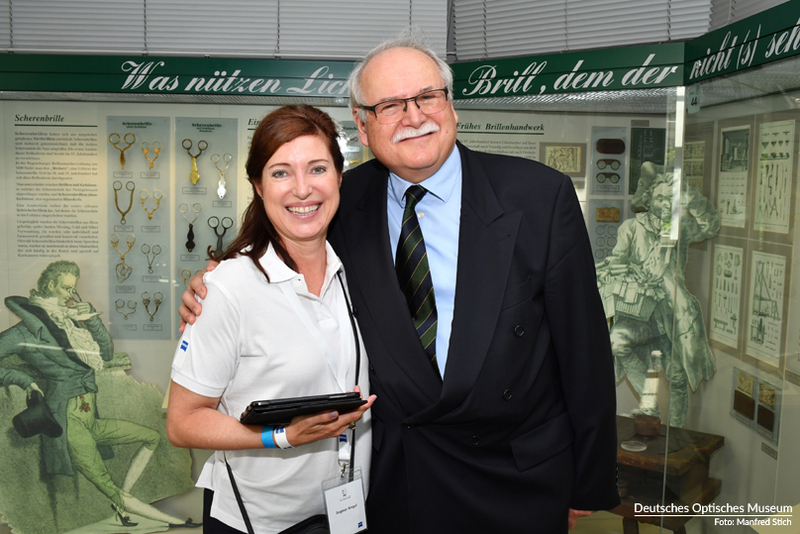 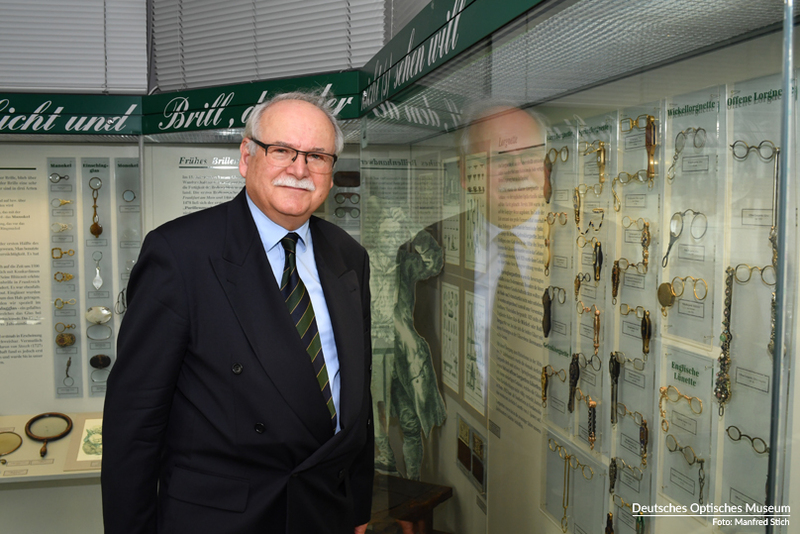 Creation of German Optical Museum announced. 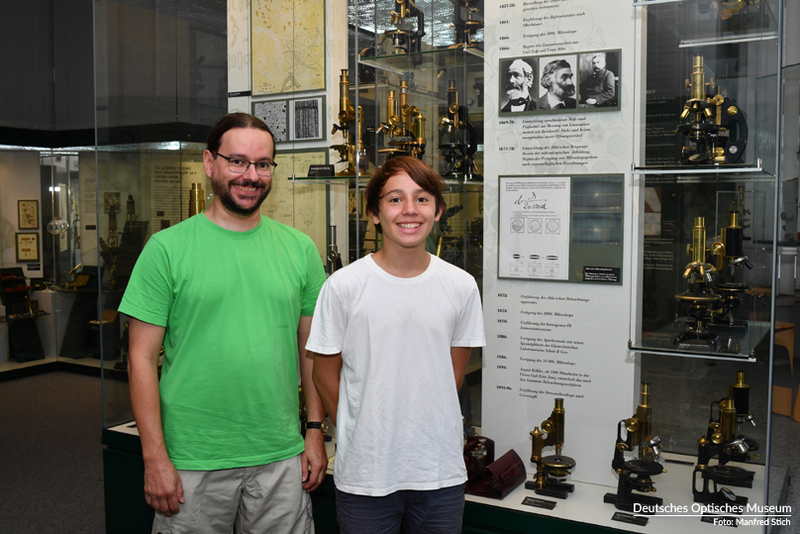 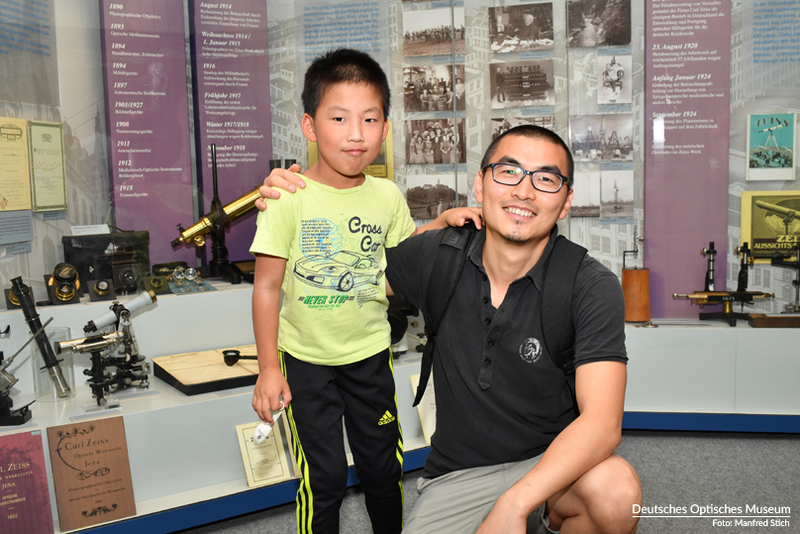 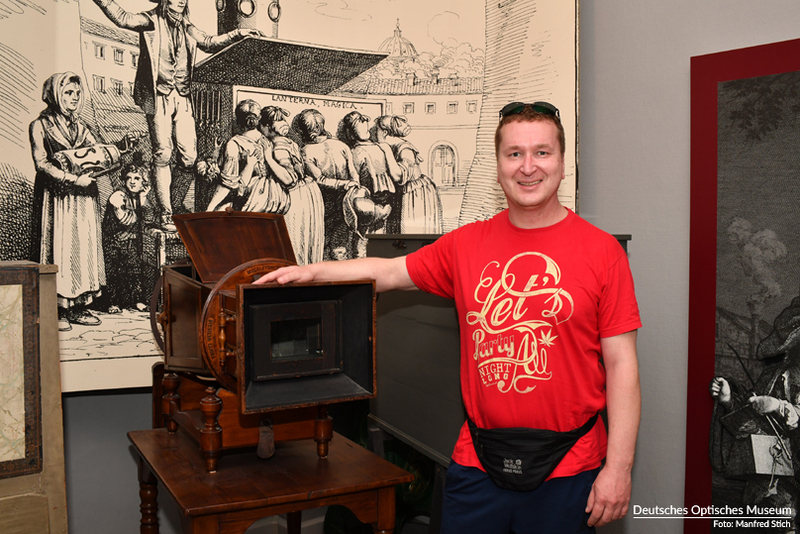 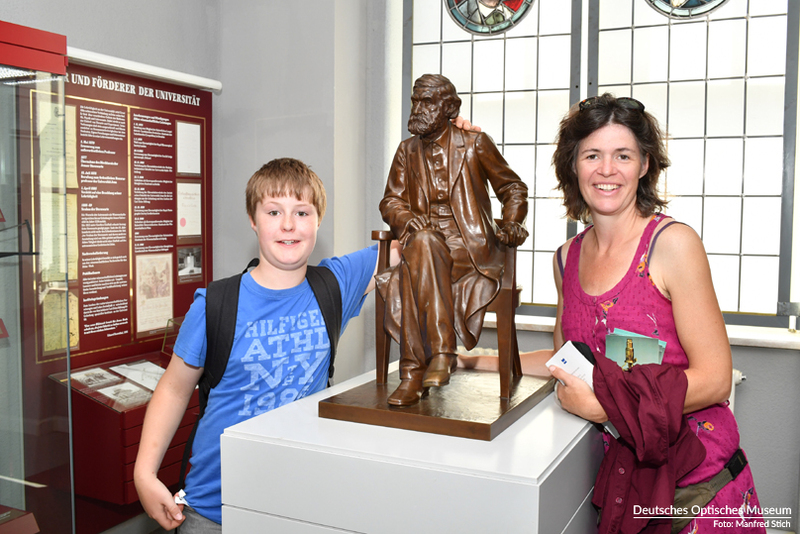 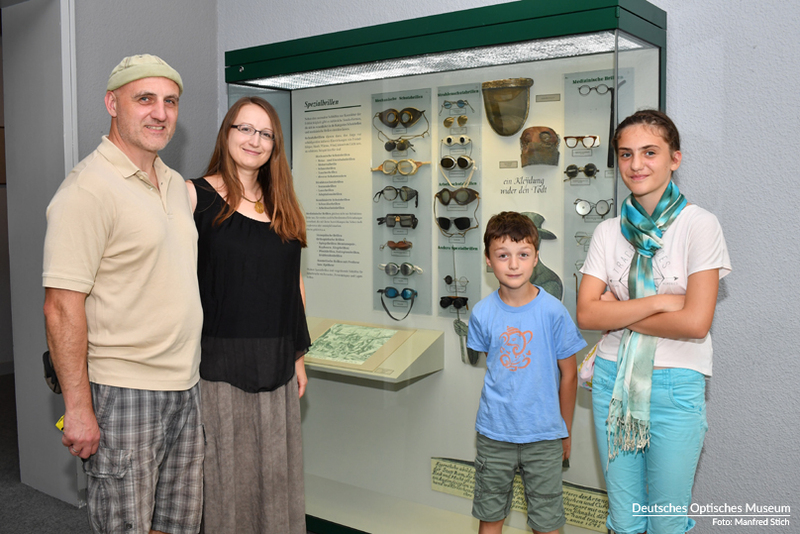 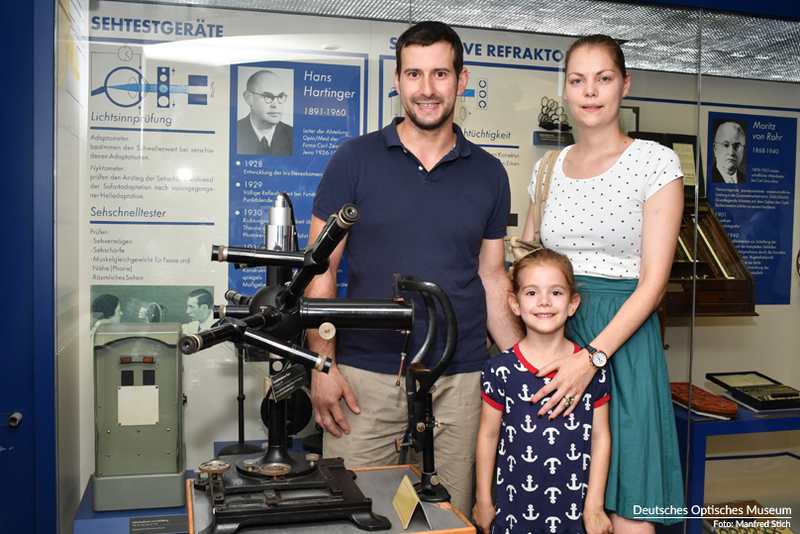 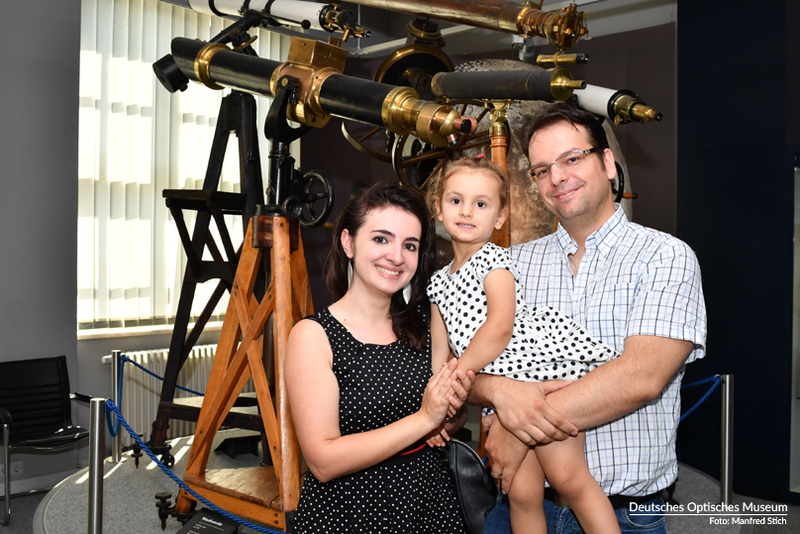 - On this day, more than 50 visitors were photographed in front of specific exhibits in selected areas at the current Optical Museum. 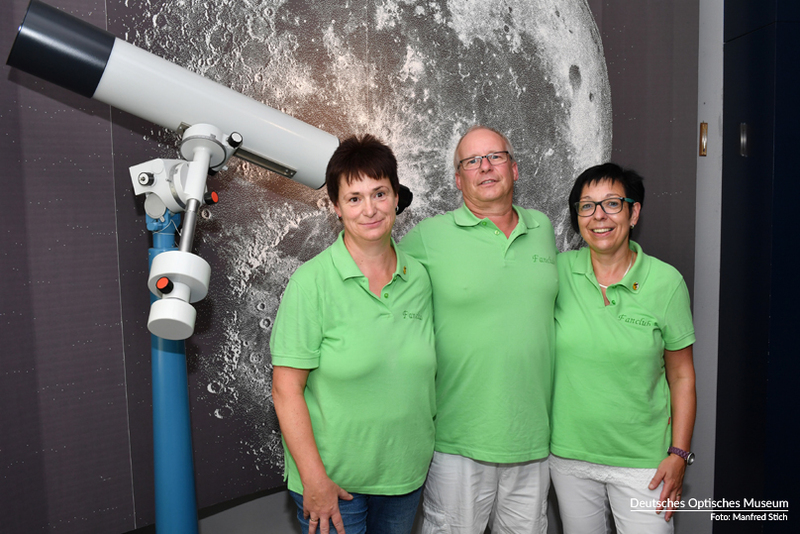 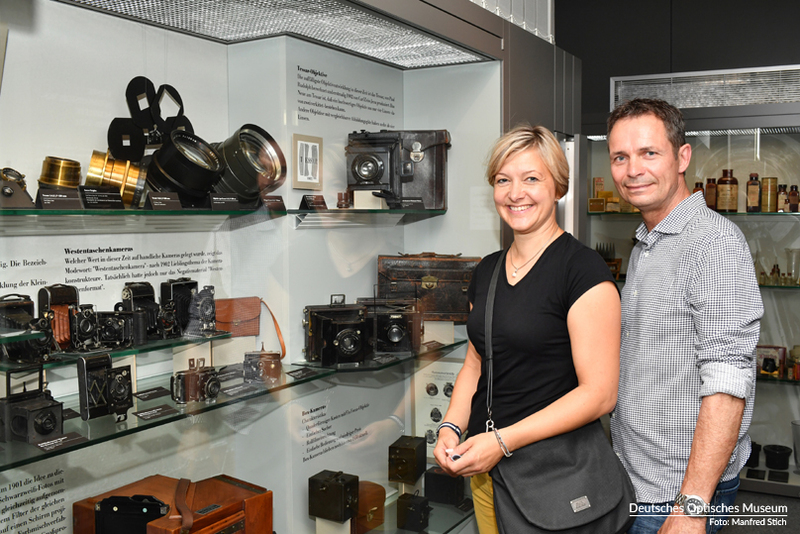 They agreed to have the photos re-shot after the opening of the German Optical Museum in the same clothes but in the redesigned exhibition areas. 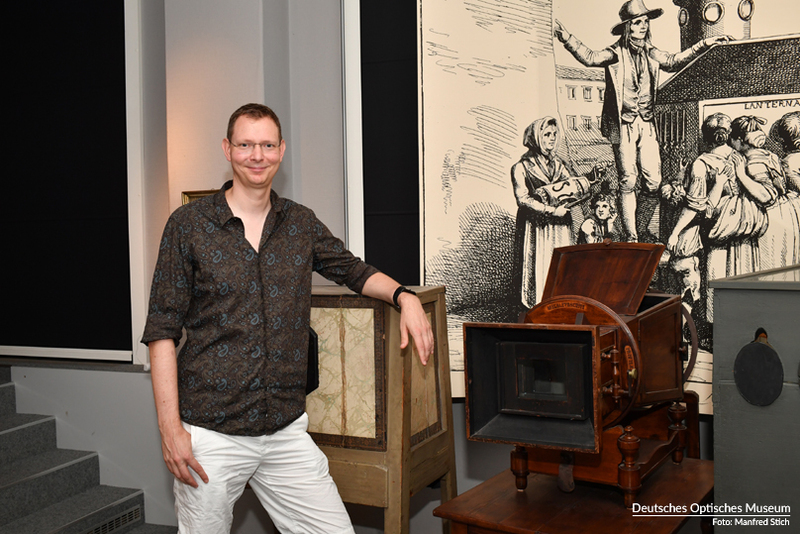 To the left you will find selected photos. 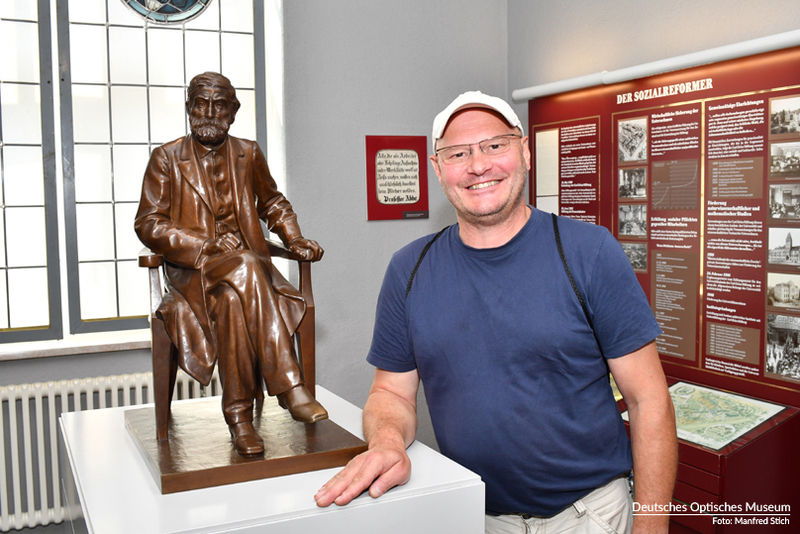 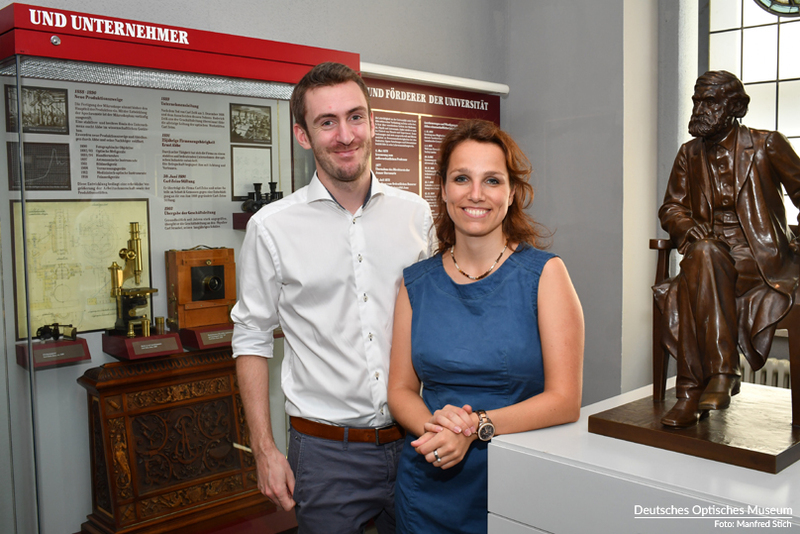 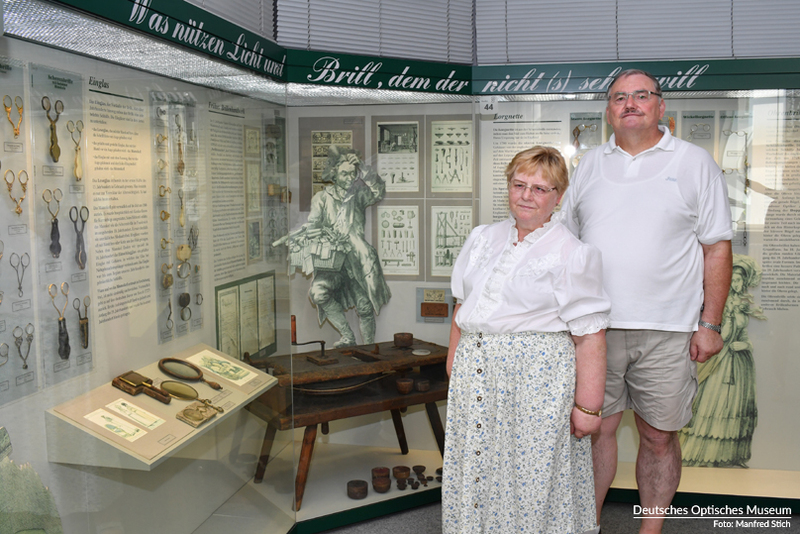 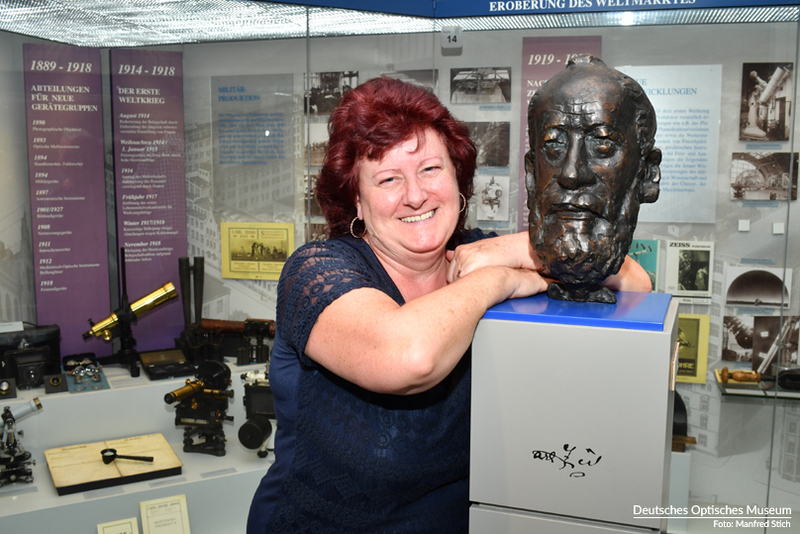 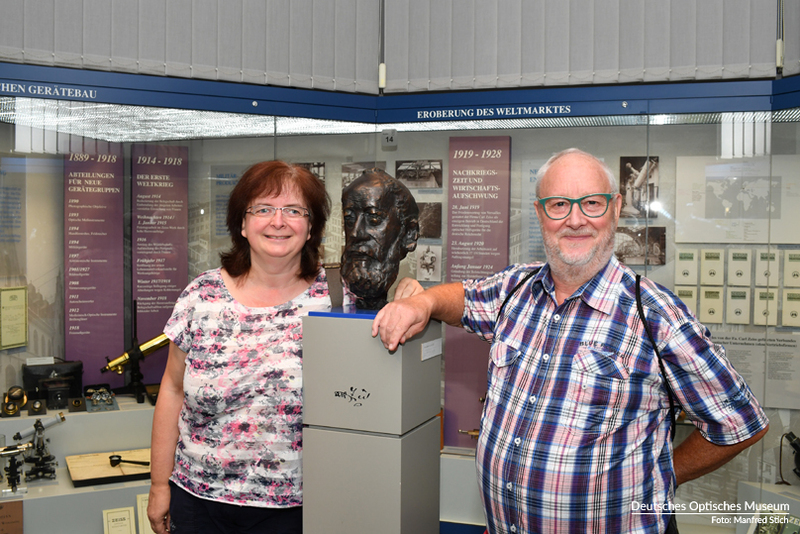 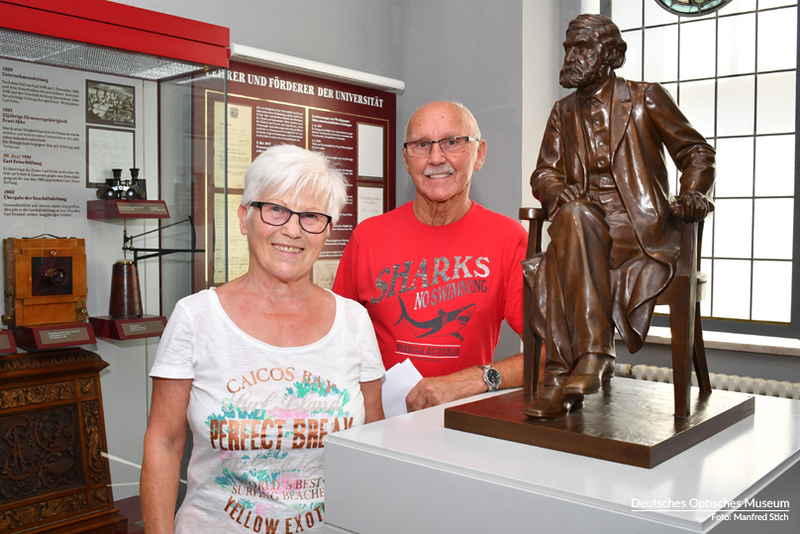 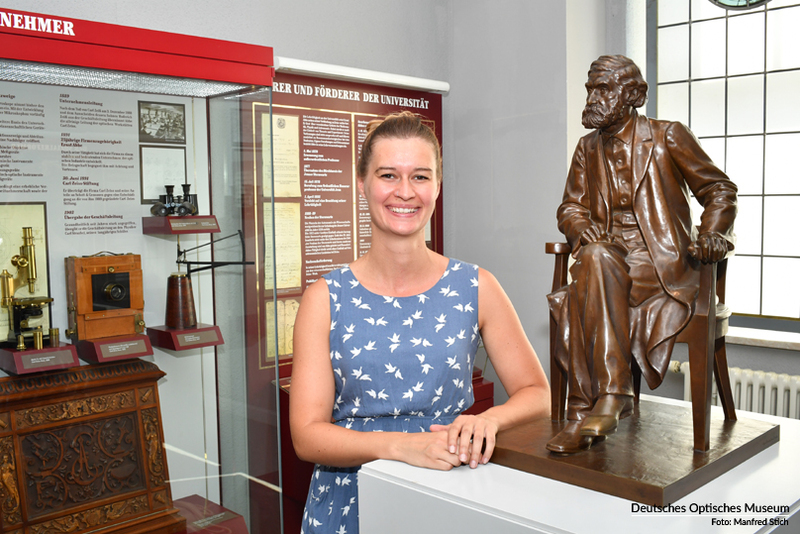 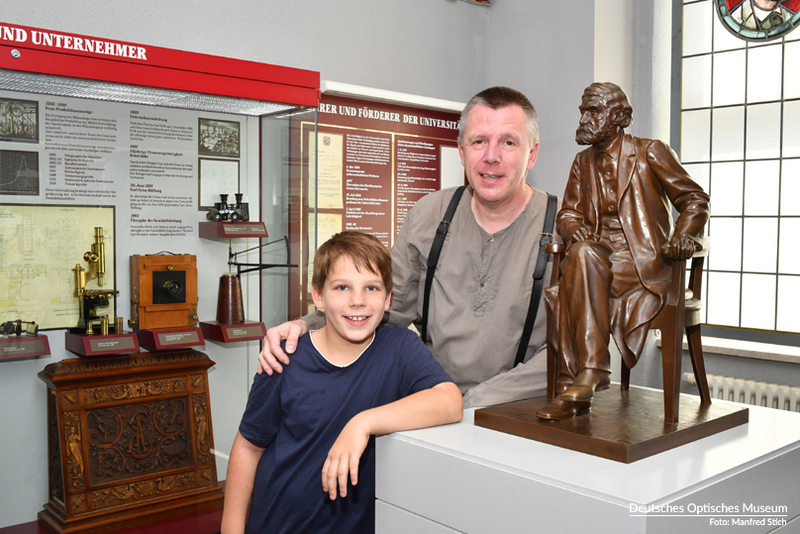 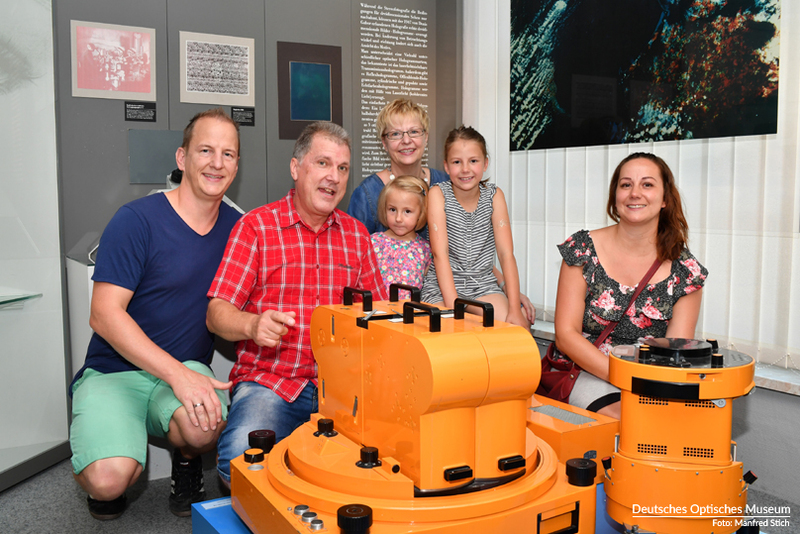 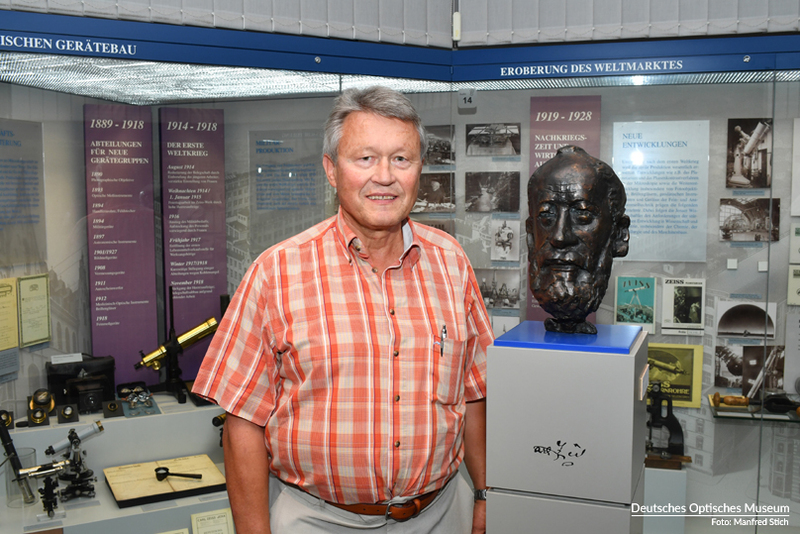 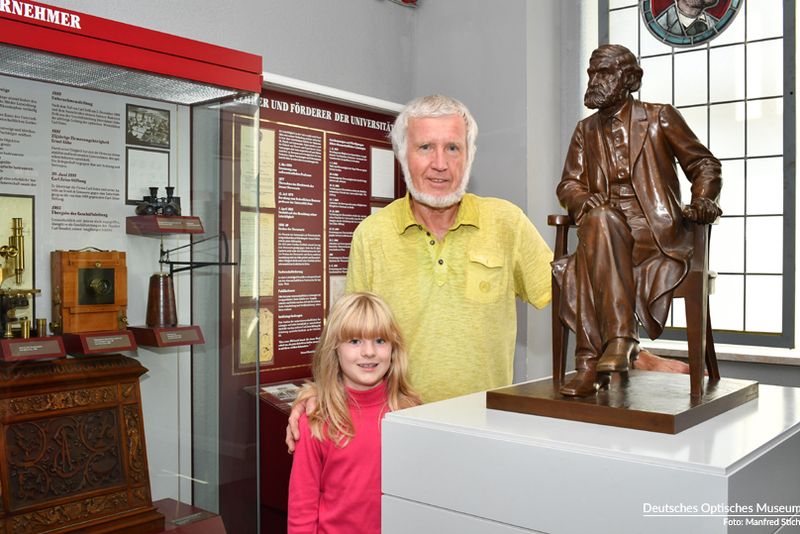 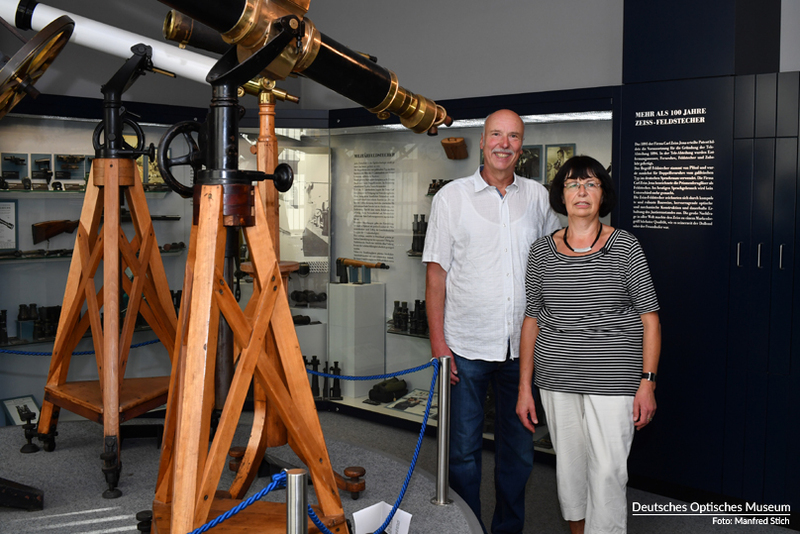 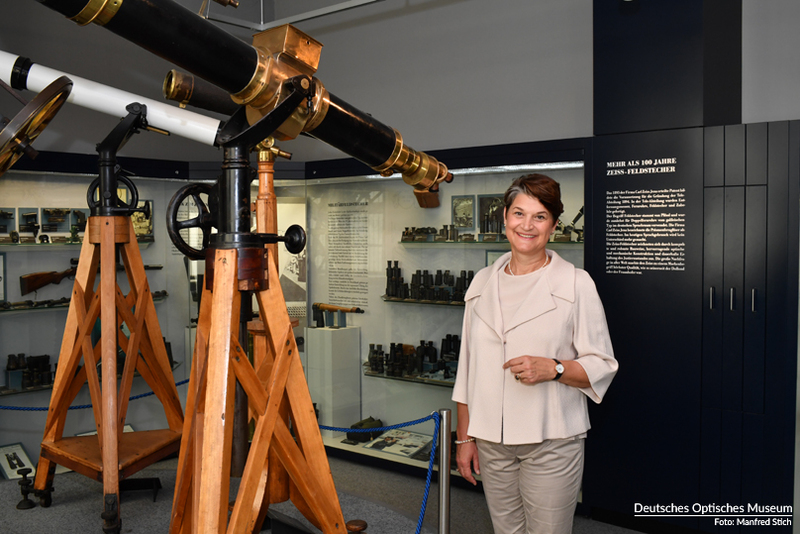 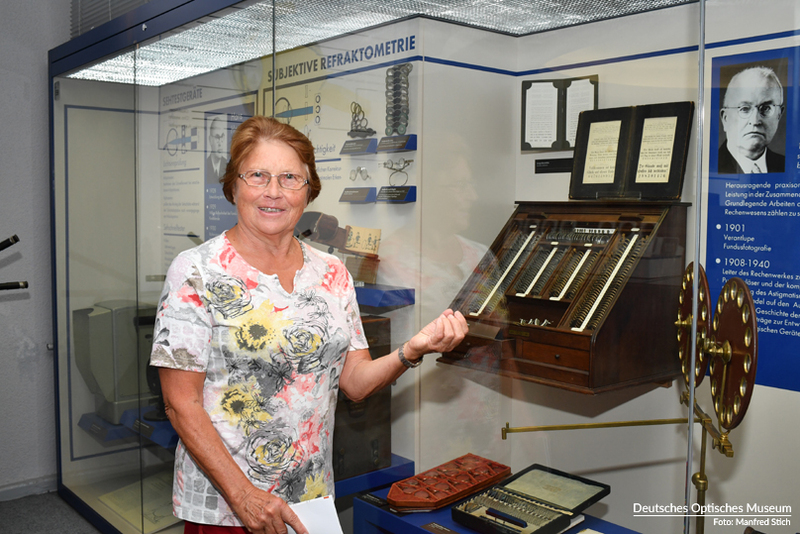 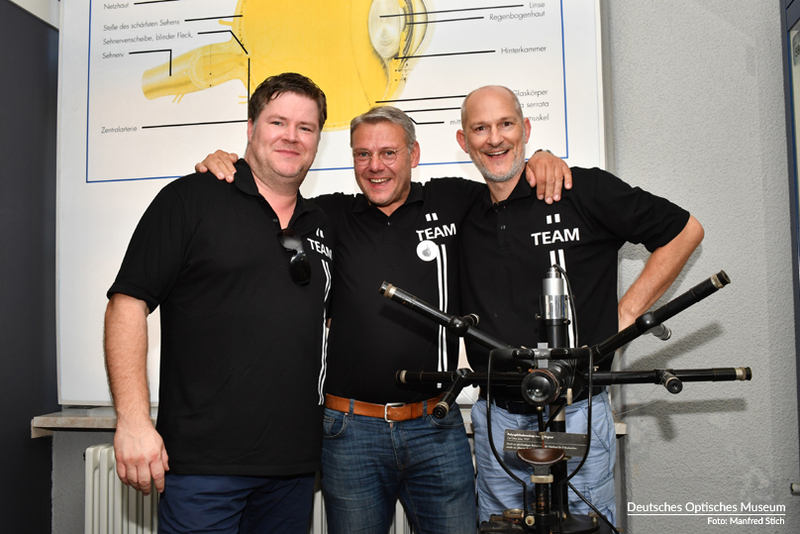 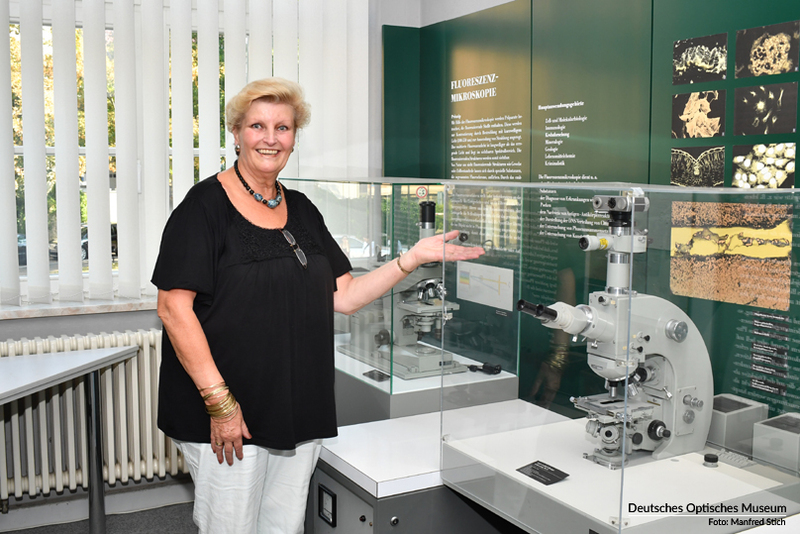 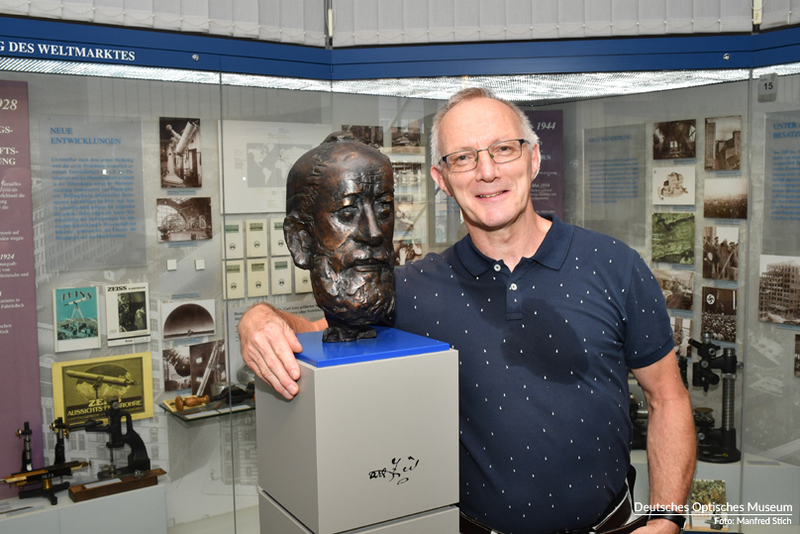 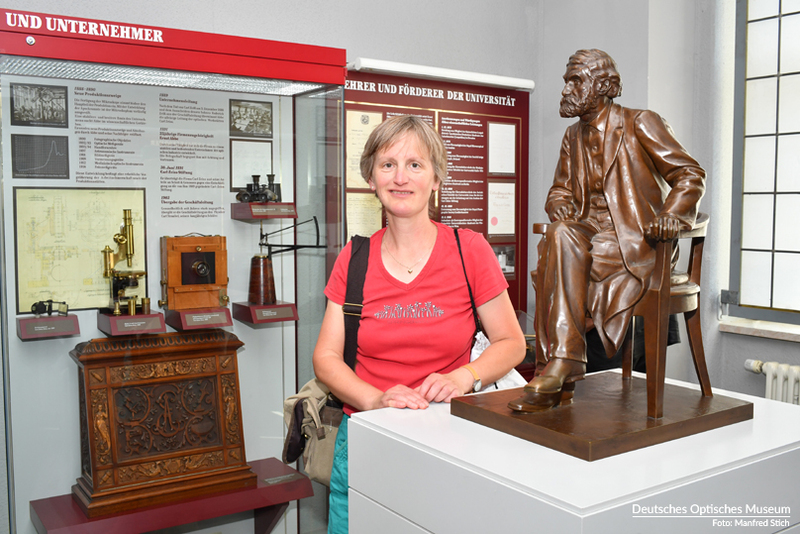 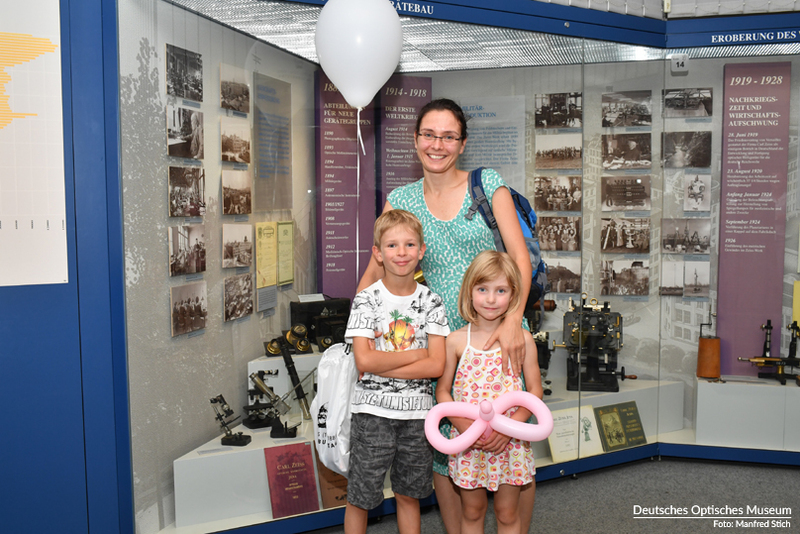 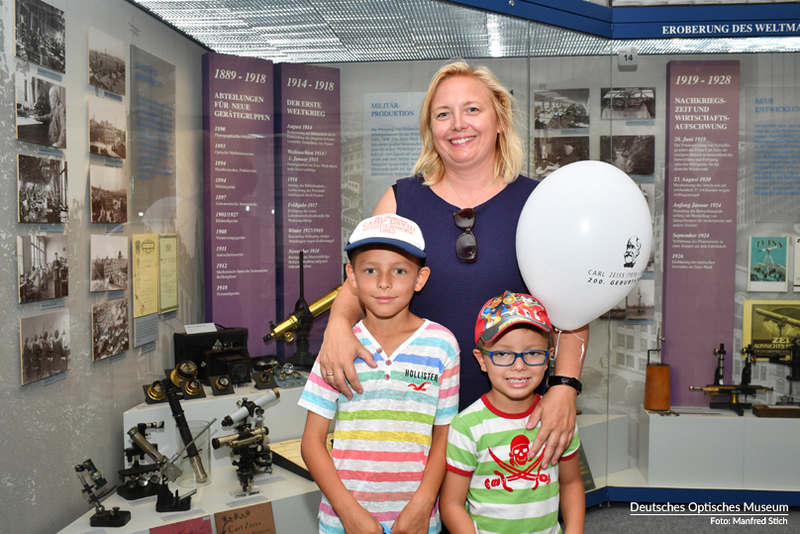 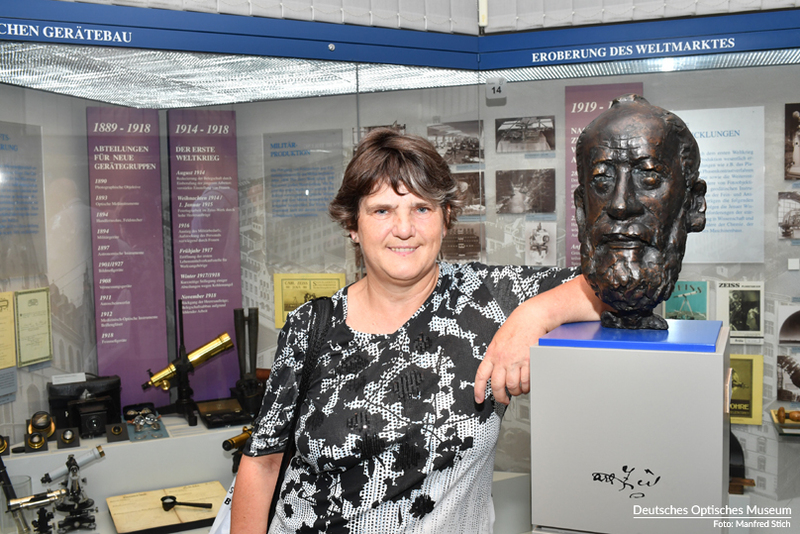 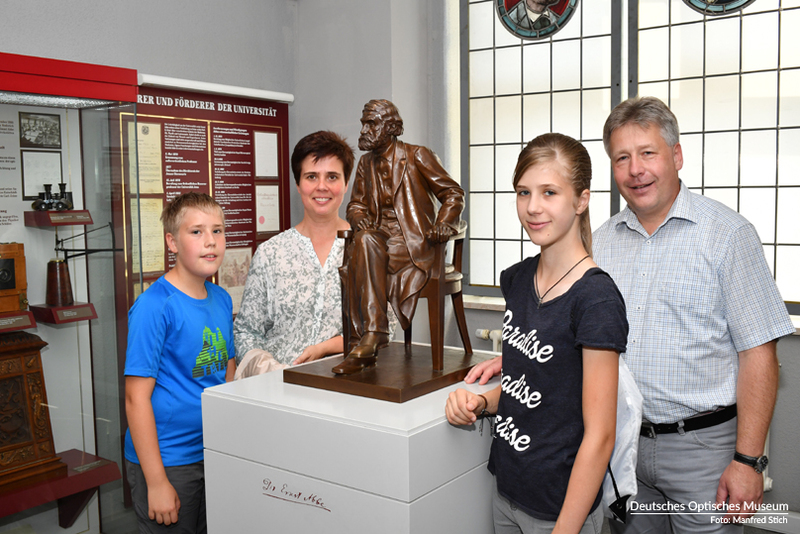 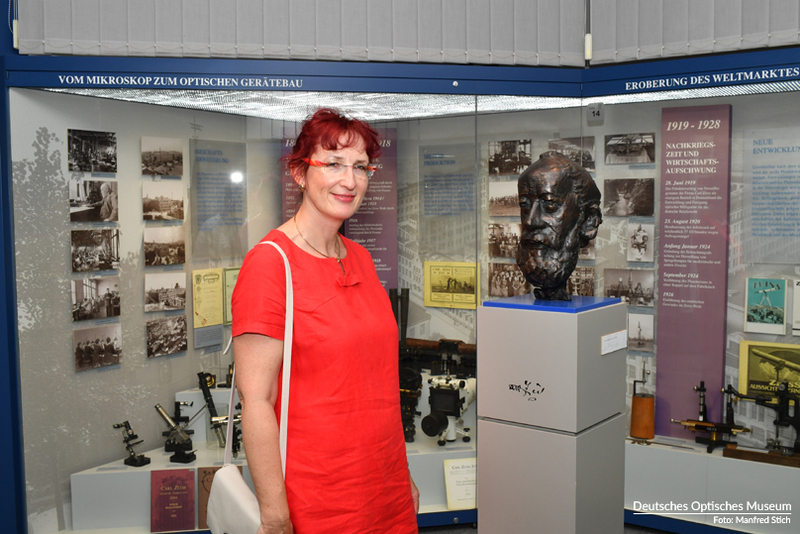 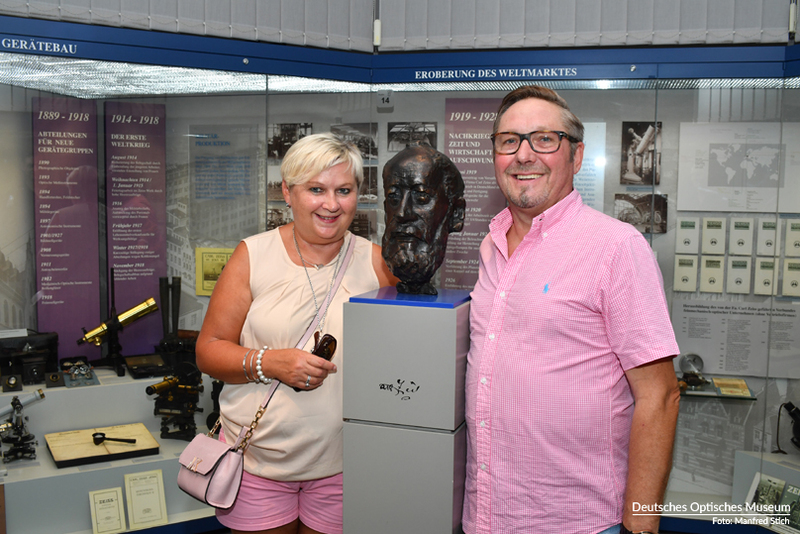 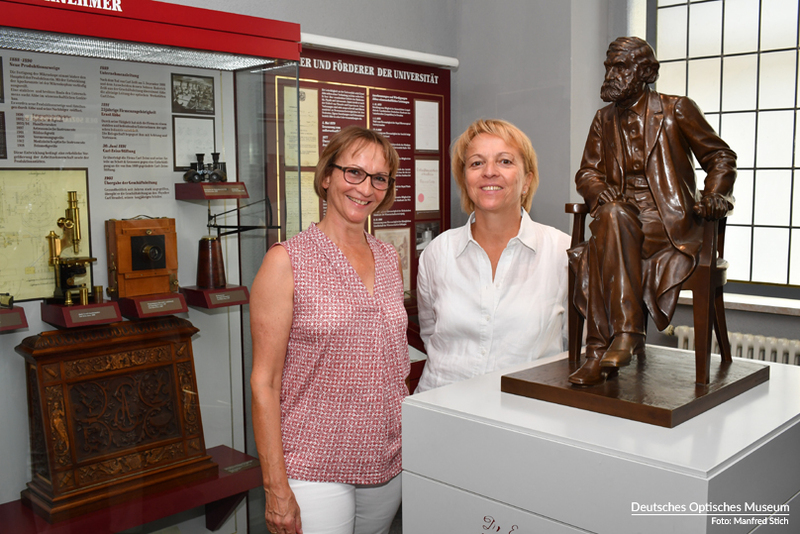 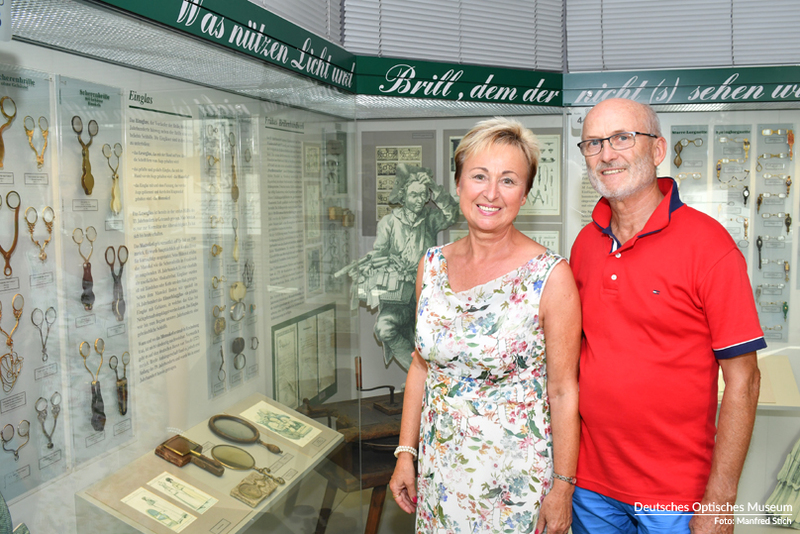 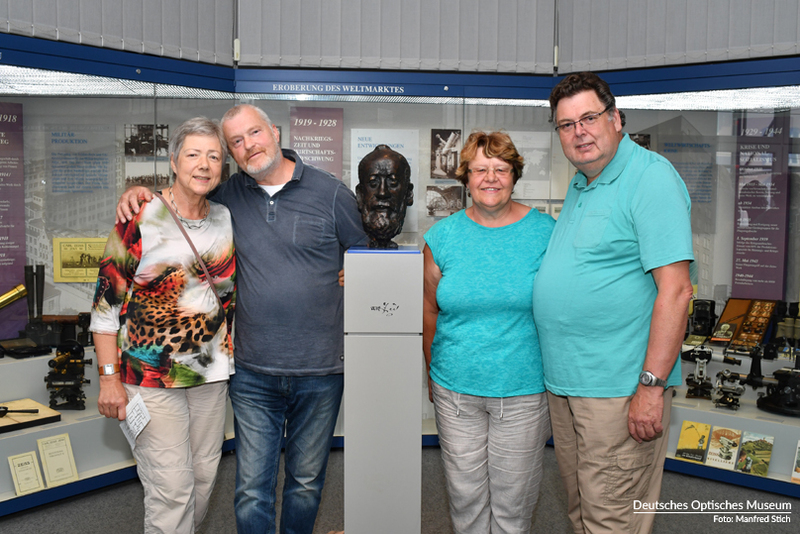 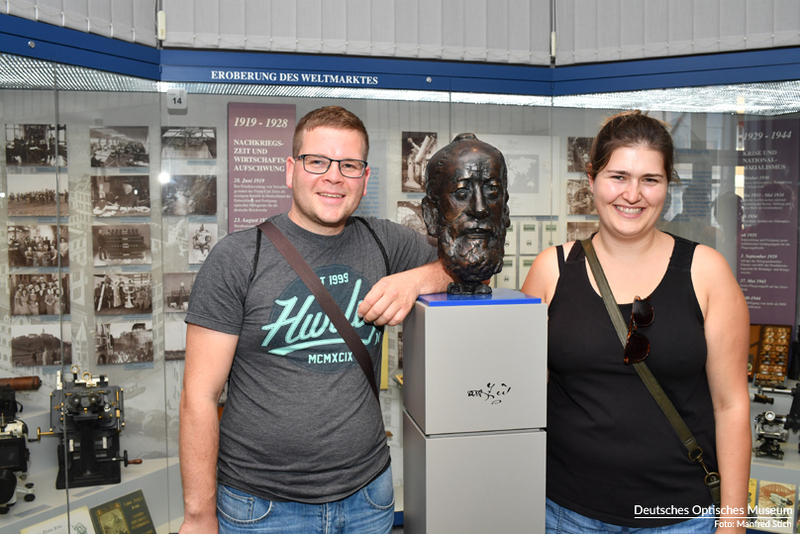 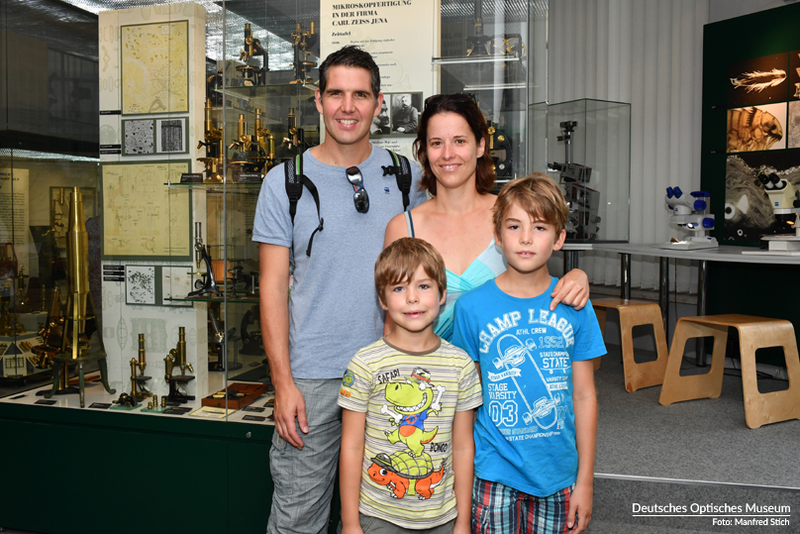 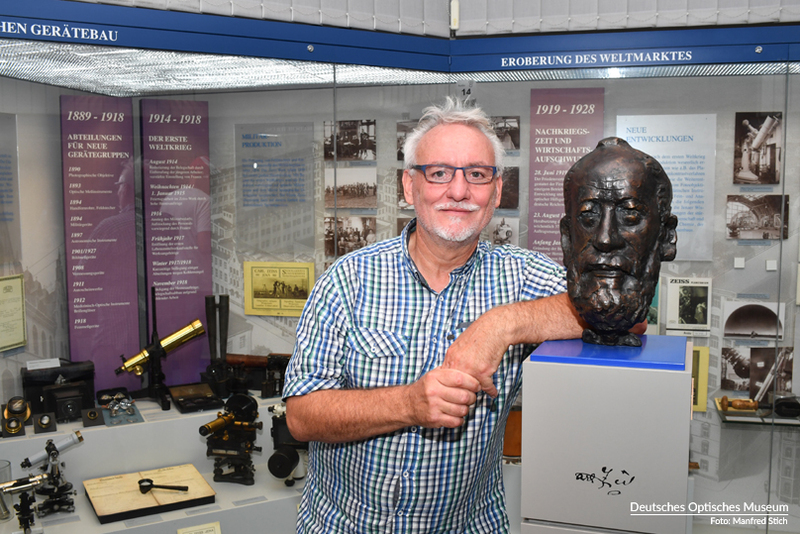 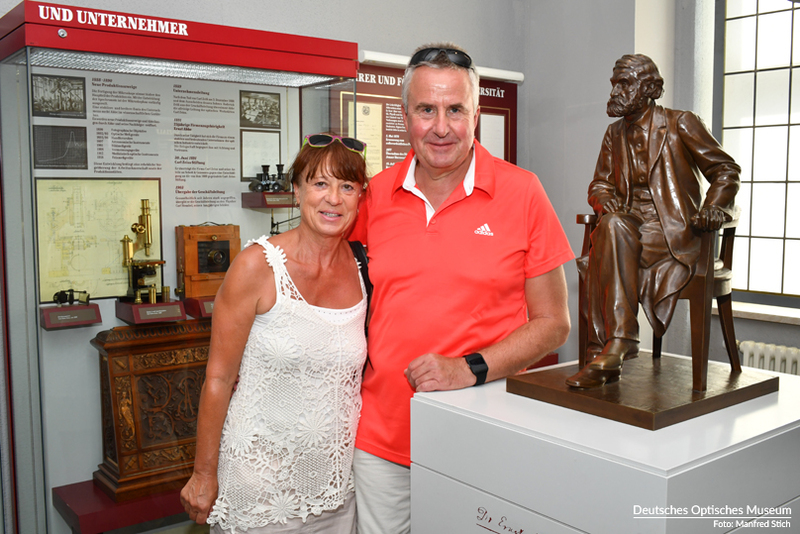 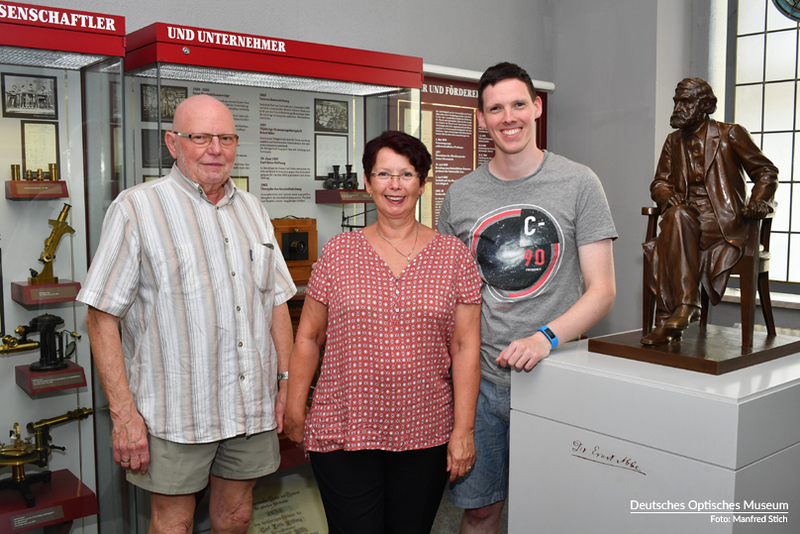 A foundation for the German Optical Museum was established in honor of the 200th birthday of Carl Zeiss, laying the groundwork for turning the Optical Museum in Jena into the German Optical Museum. 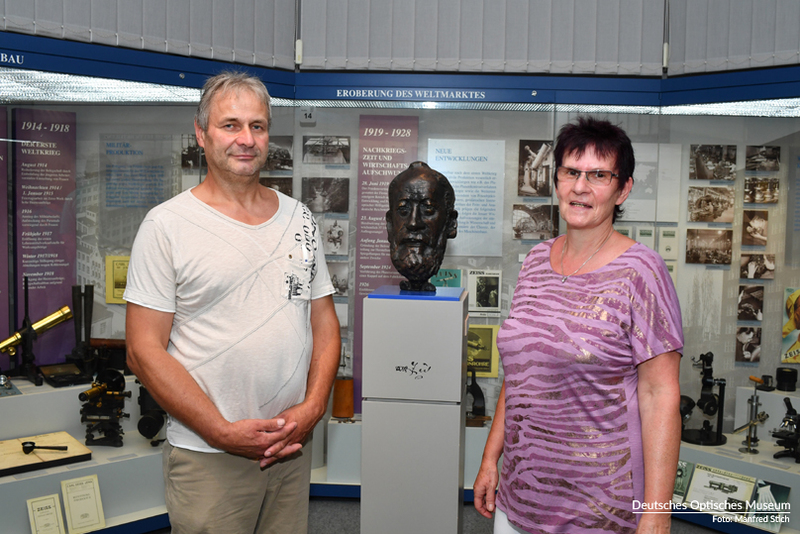 >>> Erste Schritte auf dem Weg zum D.O.M.